In partnership with Tokyo Arts & Culture 東京都文化振興部. 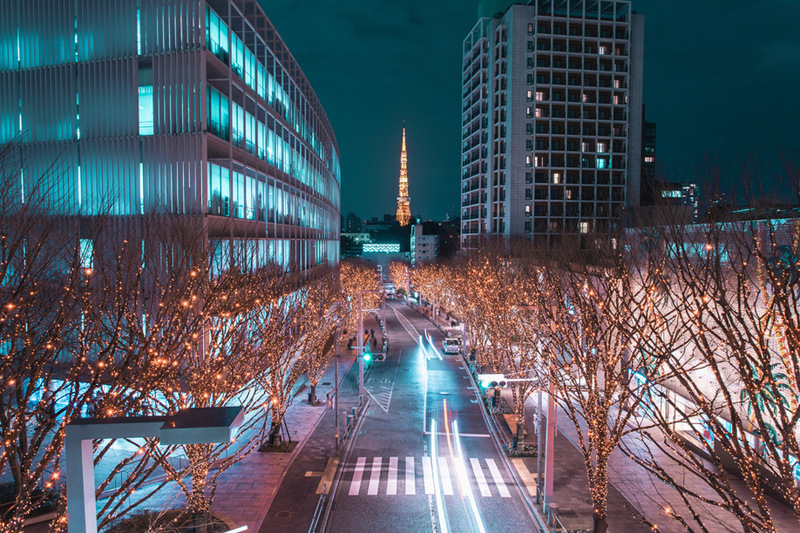 Tokyo is known for its’ hustle-and-bustle life, the busy zebra crossings, night lights, and of course contemporary culture and food. But there is a lot more to the city. During this trip, I had the opportunity to join two architecture tours, one at Tokyo Bunka Kaikan (also known as Tokyo Metropolitan Festival Hall), the other at Tokyo Metropolitan Art Museum, which gave me more insight on Japanese art and architecture. Both situated inside Ueno Park and designed by Japanese architect Kunio Mayekawa, who was a student of Le Corbusier. First spot, Tokyo Bunka Kaikan. Entering the lobby, you get a harmonious feeling, with dark blue ceiling and angular tiles. The ceiling features lights that seem randomly placed, but they represent the starry night sky. The floor tiles represents autumn leaves, which reflects the architect’s theory of a city’s features within one space. Go through the doors against the pink wall, and you get to Main Hall, where the chairs are of different colors to make the space feel less empty. Continuing on is the Recital hall, my personal favourite. This hall is smaller and slightly rounded so it surrounds the stage. You’ll notice that the two main colors are red and blue respectively. This applies to other parts of the building as well. There are two very photogenic spiral staircases* - one red and one blue. The red one is for public access, which gets them excited as they are going into the hall for the show. Blue one is for performers backstage, to give a calming feeling to help prepare for the performance. We continued the tour and headed to Tokyo Metropolitan Art Museum, 5 minutes walk away from Tokyo Bunka Kaikan. The first thing I noticed is that although the two buildings are by the same architect, there are distinct differences between the two. Tokyo Bunka Kaikan was designed when Mayekawa was younger, and the design is more ‘loud’; while the art museum is designed when he was around 70 years old. It is more mature, and a lot of thought went into reducing risk, endurance / maintenance. Walking into the museum, the first thing you see is a reflective sculpture "my sky hole 85-2, light and shadow" by Bukichi Inoue. The sculpture reflects a 360 view of the entire museum, and gives a cool distortion to the red and brown tiled flooring. The placement of red and brown bricks are simply from the architect’s intuition, there were no calculation or plan as to how the gradient would appear. The holes on the bricks aren’t simply a design element, but they were for nails and sticks during construction. Exploring the museum from the outside and inside feels totally different. Once you step into the museum lobby, you’re warmly welcomed with pink concrete curved ceiling with copper lights.One interesting thing is that when people think of modern architecture, we think of concrete steel grey. But Mayekawa always injects some sort of human touch to his work. The rock-like walls are usually unnoticeable, but they were all hand-beated with a hammer to add that human touch. The museum main building is divided into four parts, which are distinctively color-coded. The coloured rooms are free for anyone to access, so you can come and take photos, or just chill and hang out like the old men in the green room. The colors are meant to give visitors an excited and cheerful feeling. As we explored the colored rooms, I noticed something interesting in the furniture. The architecture guide explained that it’s not just a design of the chairs, but it’s because over time, we as a population of humans grew taller, and our legs got longer, so the furniture had to be updated as well.